A little gold goes a long ways when it comes to purchasing power. Today, for example, a single ounce of gold can be converted to buy nearly 5 metric tons of wheat. That is significant wherewithal for anyone who owns an ounce. Of course not everyone can afford coins or bars that size. That is why fractional sized bullion gold coins and bars are increasingly popular and the product choices are growing. If you need help deciding on what to buy, gold and silver US coins for sale are always a great start. Many investors are buying gold a tenth of an ounce at a time because that fits their budget. Others are preparing for possibility that gold is once again needed to barter and trade. Who Should Invest in Fractional Gold? They are building a well-rounded holding with sizes suitable for both large and small transactions. Many anticipate even higher premiums down the road because the smaller, widely affordable pieces figure to be the most desirable. Money Metals Exchange carries the most popular gold mint fractional coins, rounds and bars. Among these, would include the popular American Gold Eagle offered in 1/10, ¼ and ½ oz sizes. Along with the Canadian Maple Leaf coin and Australian Kangaroo which are offered in the sizes as well. Perhaps the most innovative option are the CombiBars from the Swiss refiner Valcambi. 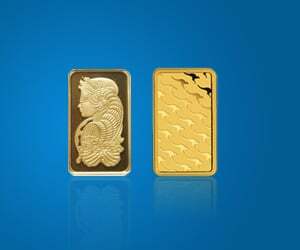 These bars, available both in 1 oz gold bullion and in 50 grams of gold bullion, are designed to be separable into smaller sections. If needed, you can snap a 1/10 oz (or 1 gram) segment off of the larger bar. You get the versatility of fractional sized gold, at much lower buy premiums. Our friendly Specialists are standing by to answer any questions Just call 1-800-800-1865 - there is never any sales pressure and you can always expect knowledgeable, straightforward responses. Or order right here at MoneyMetals.com.